The caliper is a measuring instrument with a scale and a cursor that slides on it. It was designed to take external linear dimensions by contact. You can also measure internal dimensions, depths, and other protrusions. 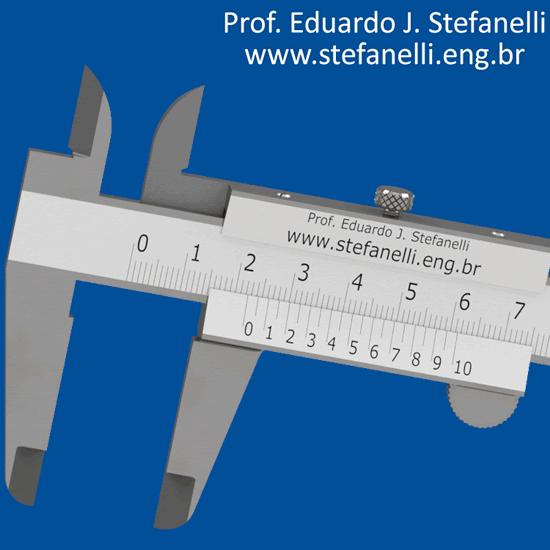 Possibly, this is the most common tool of metrology and its architecture has been modified to take special measures. The main scale of this simulator is graduated in inch – British or imperial system of British measures -, which is divided into tenths, which in turn has been subdivided by four. The vernier divides the 0.025 in (twenty-five thousandths of an inch) by twenty-five, marking 0.00 1in (one thousandth of an inch). • See how to use the Universal Quarter Caliper. • See the main components of a Caliper.